Building a platform is essential for writers today. Publishers are busier than ever, and they have less resources to devote to helping authors spread the word about their books, speaking events, and tours. Even more difficult, agents and publishers are often unwilling to take on new writers who don’t already have an established platform, social media presence, and dedicated followers. So what’s a writer to do? 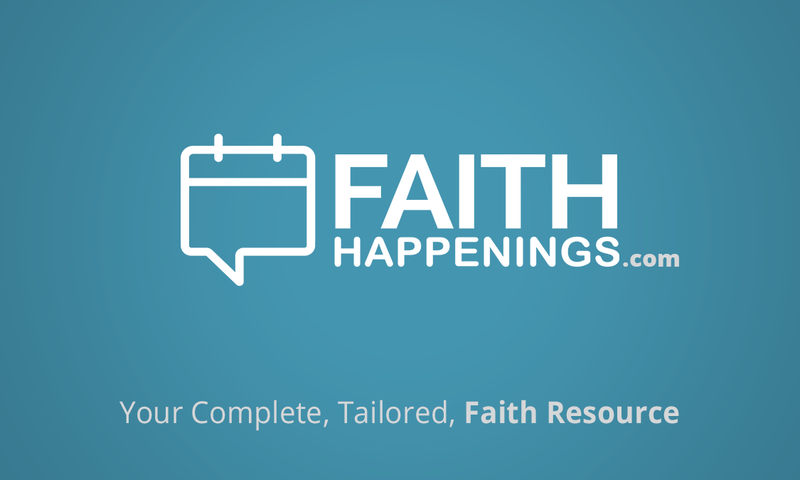 FaithHappenings.com is an online Christian resource with 454 local websites serving more than 31,000 cities and towns. It offers tailored, faith-enriching content for members. Along with a few dozen other benefits—both locally and nationally—it connects people of faith to information about books, blogs, speaking events, and other resources that interest them most. As a writer or speaker, it will allow you to connect with people specifically interested in your genre, subject, or brand! Just what can FaithHappenings.com offer you? List yourself as a speaker both locally and regionally, for free! FaithHappenings allows you to highlight your speaking in the local areas where you have upcoming events, targeting people who live there through requested emails. We also link to your author website, driving people back to your site. Announce upcoming book signings in your local area for free! Information about book signings and other author events are emailed out to members who have requested to be notified of new book releases and book signings near them. Emails go out weekly, and members will also find your events by going to their local FaithHappenings page and checking out the Events Calendar. List your books—both traditionally and self-published—in up to five genre categories. These book listings will then be promoted to members across the country who have requested to hear about new books in your genre. Announce special e-book promotions the day they happen. E-book promos are sent out to our members via email and listed on the site daily! The more people who hear about your e-book deal, the more sales you’re likely to see. Build your blog traffic by posting your blog on FaithHappenings.com. You can then be listed as a “Featured Blogger” on our Home Page. Post a Top-10 List from your book! If you can create it, FH Daily—our page of daily inspiration, humor, encouragement, and current events—will post the content and link to your book (and it stays on our site forever). Content is king when it comes to generating buzz for your book, and posts on FH Daily are easily shareable via Facebook, Twitter, Pinterest, and more. Be a highlighted “Author Interview.” FH Daily runs author interviews several times a week. Readers can learn more about you, and links will connect them to your website and your book’s buy page. Just email fhdaily@faithhappenings.com to see if you qualify. Create more awareness for your book with advertising! An ad on the global site or on FH Daily is affordable for any author. As a free member yourself, you can receive e-mail announcements for any book in more than 70 genres. What are you waiting for? Get started today by signing up in your local area to become a member at www.faithhappenings.com. For more information about the benefits of FaithHappenings.com for writers and speakers, click here. This entry was posted in Agent's Desk, Marketing and Promotion, Social Media, Writer's Life and tagged Audience, book signings, expand your reach, FaithHappenings.com, platform, promotion, Social Media, speaking by Greg Johnson. Bookmark the permalink. I’ve found FaithHappenings.com very helpful. Thanks, Greg!